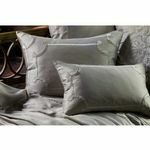 Lili Alessandra Vendome Taupe Silk & Sensibility/Fawn Velvet Bedding Collection. 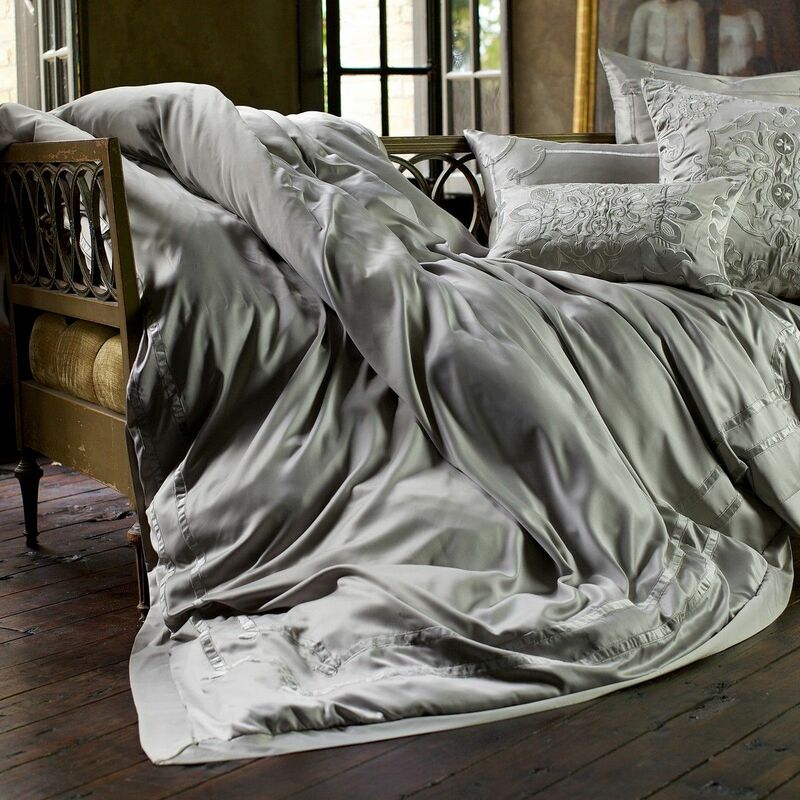 Silk and Sensibility, a silk-like fabric. 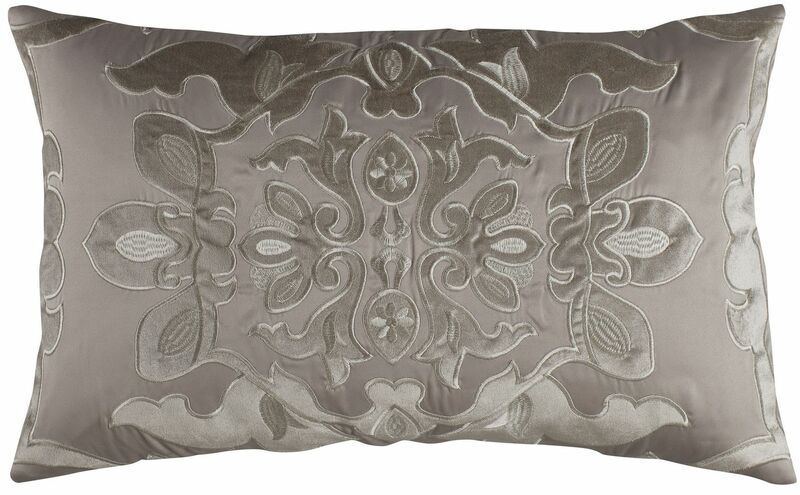 Duvets embellished with velvet applique create an understated luxury. Machine Washable. 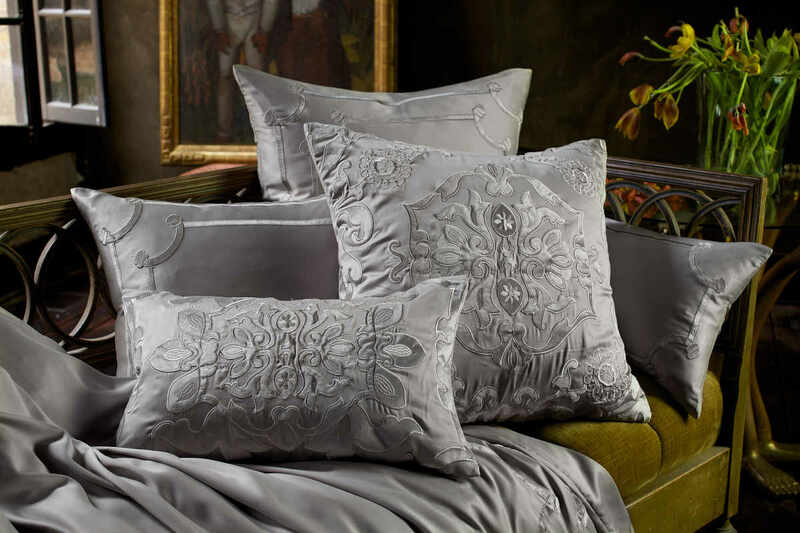 Vendome Silk & Sensibility (Silk-Like) has the look and feel of silk. 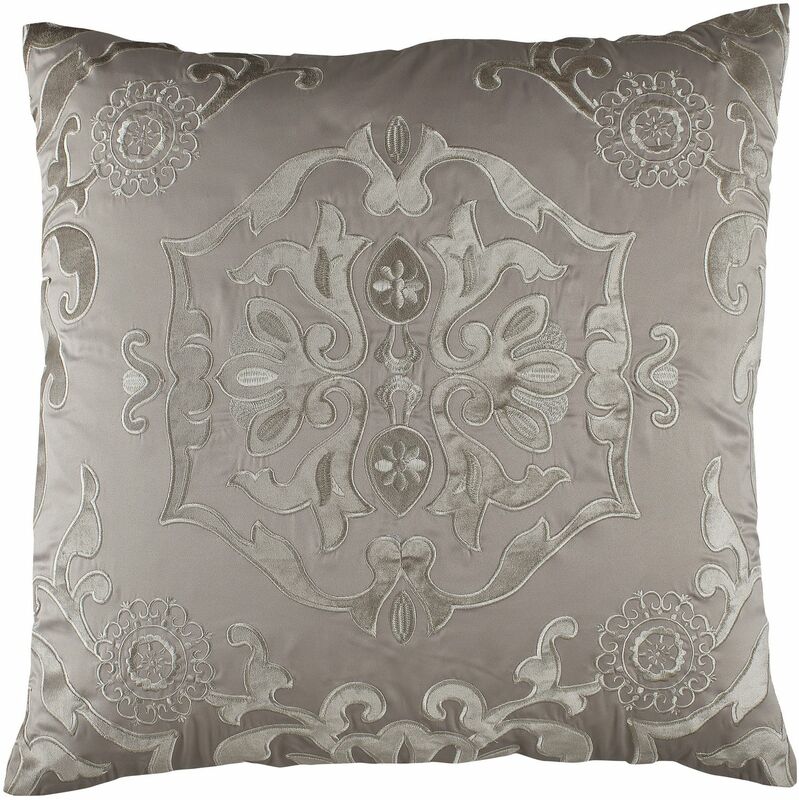 Taupe with Fawn Velvet. Vendome Silk & Sensibility (Silk-Like) has the look and feel of silk. 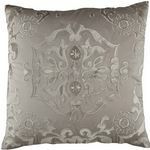 Taupe with Fawn Velvet. Includes 95% Feather/5% Down Insert. Refer to item B in photo. Refer to item C in photo.